I'm a digital strategist by heart. SEO Consultant flirting with analytics at an agency in Stockholm. Writing to help educate people and brands to be better at managing their digital assets. Read more about me here. Slack is a cloud-based team collaboration tool with a lot of integrations and third-party applications that can boost productivity for teams. Slack offers a lot of IRC-like features: persistent chat rooms (channels) organized by topic, as well as private groups and direct messaging. Major integrations include services such as Google Drive, Trello, Dropbox, Heroku, Crashlytics, GitHub, Runscope and Zendesk. 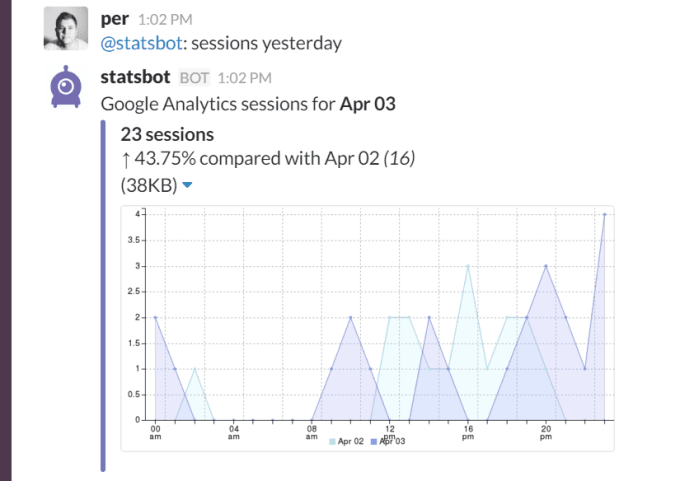 If you’re already using Slack and Google Analytics – now it is time to make them both work together. I believe that this integration of Google Analytics data, with the easy use of commands, can get anybody interested in the performance of a website or application. 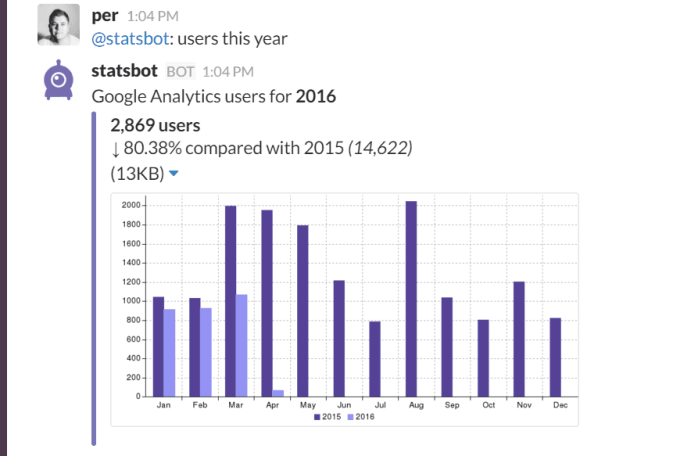 Now go try Statsbot yourself. After a few more minutes my colleague marks my issue as complete, after talking directly to me. 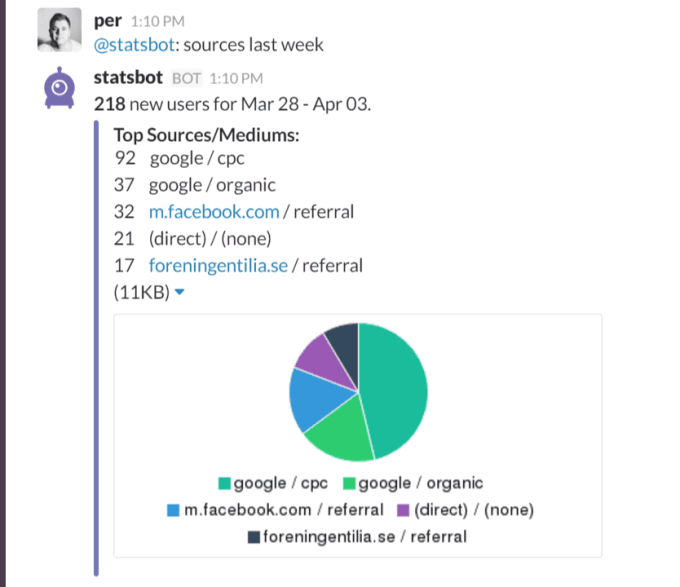 This way teams can use Slack without commenting on everything, in every channel. Hi Andrey. Add the URL so I can have a peak. I googled around a while but didn’t find what I was looking for. Skype bot – https://join.skype.com/bot/e3ba95a8-33a8-423b-8ec9-5f81badb343e. Looks like the link doesn’t work currently – I’ve just raised a question to Microsoft to clarify what happened. You may also try to find it in Skype Bot Directory, if you use Windows Skype client (Microsoft said that it should be there, but I am not already sure). Let me know when it works for Skype and how to use it. Would be fun to test. It works now. The instructions are given in the bot. Let me know if something is unclear there. Hi Per! For Google Analytics data you can also have a look at Whatagraph. It’s been created for marketing folks to get automated visualised analytics reports. Would be lovely to hear your feedback!